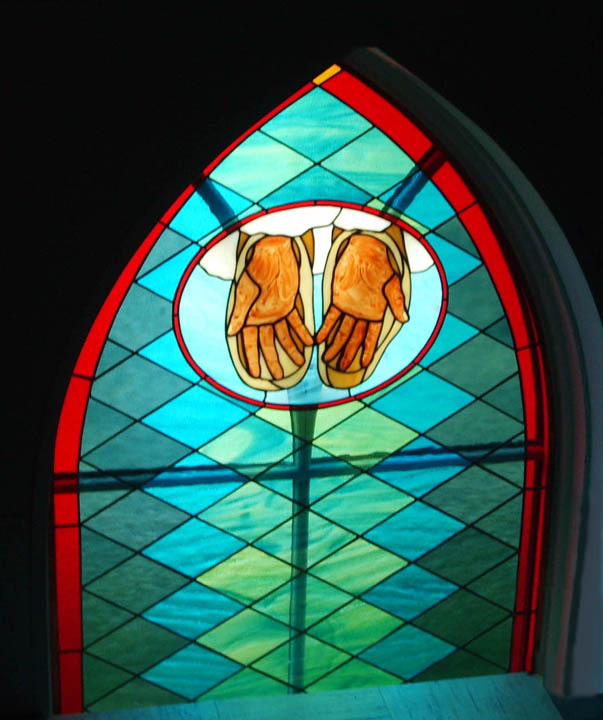 Brief Description of Subject: The upper portion of the window have hands reaching down from the clouds. The bottom portion of the window consists of keys. 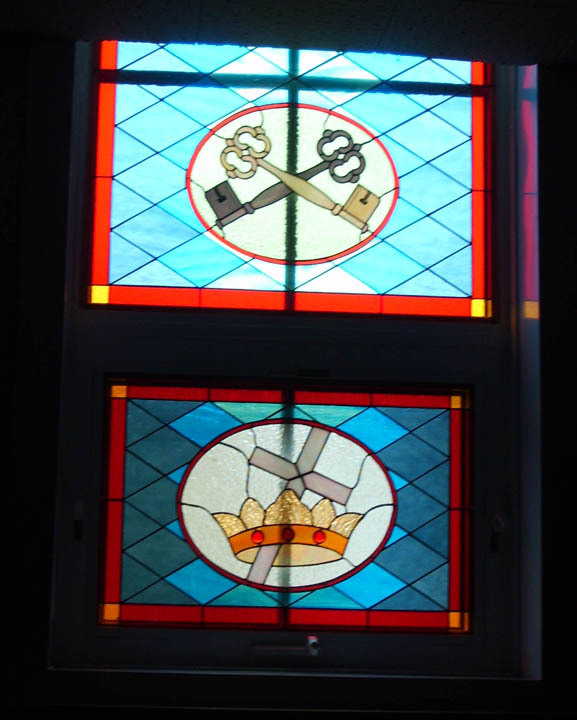 Below this is a window section that contains a cross in a crown.